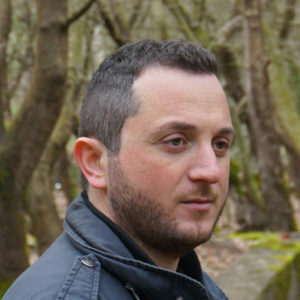 Spilios Katafigiotis has studied at the Agricultural University of Athens at the department of Agricultural Economics and Rural Development. After his graduating he continued his studies at the same university at the department of Science, obtained a Master&#39;s Degree in the subject “Atmospheric and geological environment for the design of infrastructure projects”. In his post-graduate study demonstrated that climate change directly affects agriculture in Greece and leading him to deal extensively with the issue. He has worked in the Ministry of Rural Development and Food as special advisor to the Secretary-General of Agricultural Policy and International Affairs. In this period he occupied mainly with subjects about Greek agricultural policy in relation to EU&#39;s Common Agricultural Policy such as: The revision of the Common Agricultural Policy and the implementation of Rural Development Program 2007-2013. Also he has worked issues such as: Agricultural Cooperative, Producers Groups, EU Geographical Indications (Protected Designation of Origin Protected Geographical Indication), the reconstruction of the fired regions, the policy of Genetically Modified Organisms. He has also worked in the Greek Payment and Control Agency for Guidance and Guarantee Community Aids and in the Ministry of Rural Development and Food, at the Department of Land Use Planning working for the high productive agricultural land and the renewable sources of energy. Over the last 7 years he works as agricultural consultant, journalist, instructor. He is the lead editor at ellinikigeorgia.gr.